I’m buying this. Haters gonna hate. It’s a survivor with 56,000 miles. Only options are the automatic, a/c, and a cassette player. New spark plugs/wires and new/reworked a/c system. An older lady owned it and passed away and it was sold at her estate sale to its current owners. 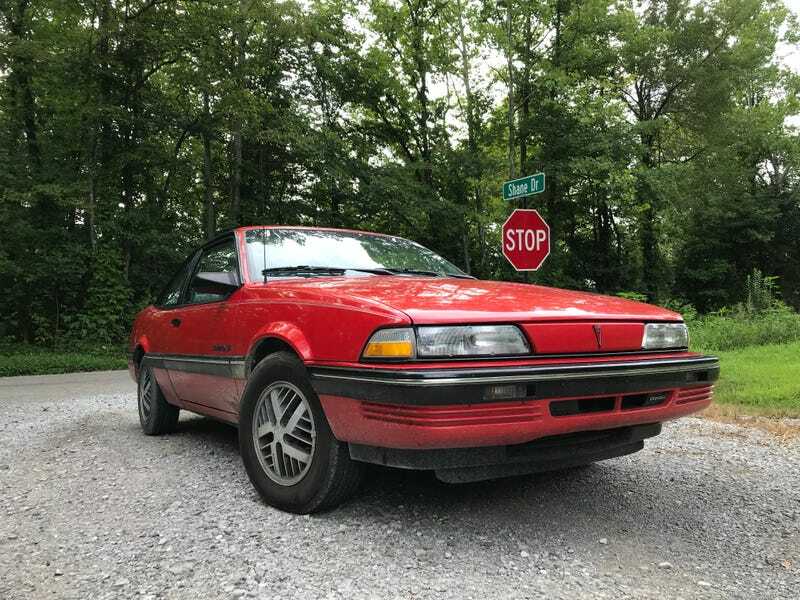 The current owners are selling it because they bought it to drive as a work car for the husband and decided it’s too nice to use up like that. And, it majorly struggles on the interstate (part of the husband’s commute). Which I can see, with those 96 horses. I’ve always wanted something old and GM again since I sold my Grand Am in 2009. This is going to be something for me to tinker with and work on and take care of. I already have a few plans for it. If you think it’s junk, that’s fine. No need to tell me. I know what it is. And I like it anyway. P.S. The car is filthy because its owners live about a half mile down a gravel road that is in very poor condition. My 6 crept down the road to avoid the several deep puddles. Funniest part of the buying experience: The lady’s 2014 Dodge Grand Caravan has no air conditioning as its entire system is kaput. So, she has been piling her three kids into the Sunbird for grocery store and school shopping trips because the Sunbird has very cold air.